Studies have shown that having an experienced Disability Advocate representing you will increase your chances for winning your Disability case. 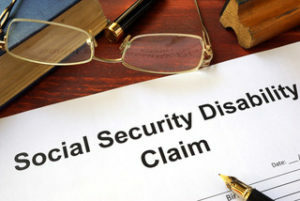 Individuals living in Michigan that are seeking to file or appeal their Social Security Disability claim should contact Disability Specialist Center, LLC at (248) 788-6840. If your Disability Application is denied, you should have an experienced Advocate appeal it as soon as possible and within the time frame indicated in your denial decision. In Michigan, the next level of appeal is the Request for Hearing. Your Social Security Disability case will then be assigned to an Office of Hearings Operations (OHO) that is located close to your residence. The wait time for a hearing could be 12 months or longer depending on the backlog of cases in the OHO office that your case is assigned to. Once the hearing is requested, your Disability Advocate will be able to review your file, determine the medical evidence that needs to be requested and request additional and up to date medical evidence and functional limitations from your treating Doctors. The task of developing the medical evidence and preparing your case for the hearing is challenging as it is very important to have all of the supporting medical evidence in your file. While preparing your case for the hearing, the Advocate will also research relevant legal and vocational issues to help you win. Prior to the hearing, the Disability Advocate will often prepare a brief to argue their theory of your case.